Taco Bell’s Naked Chicken Chalupa, Superbowl 51 and an Important Message on Lady Gaga Body Shaming – #DoubleFML FatDarrellPalooza! Well, that bittersweet moment has arrived once again. Waking up the morning of the Superbowl is like Christmas Day for me (minus the egg nog…gross lol don’t worry part 2 of my disgusting foods taste test is coming soon!). The biggest game of the year with the final 2 teams battling it out for all the marbles! But once the clock hits double zero and the confetti drops, my joy turns into deep sorrow as I remember that I won’t be able to watch another live NFL game until preseason begins again in August. I know there’s still the NBA and I know that baseball is still considered the national pastime (although I could make a very strong case for football to replace it). And sure, they’re fun too but football is just the greatest! On any given Sunday, it doesn’t matter if you’re black or white (there’s your latest Michael Jackson reference if you’re keeping a running tally lol), Latino or Asian…whatever – we’re all just fans. All other labels disappear. So instead of hating each other for being a Republican or a Democrat, a liberal or a conservative, we hate each other for which teams we root for instead. That’s MUCH better if you ask me! I went to Walmart here in Atlanta this past Saturday and the normally salty cashiers and customers were so nice and friendly that it felt like a little utopia. It was crazy! People of every race, gender and religion hi-fiving each other and wearing the same team colors. Granted, they’re extra salty again now that The Falcons lost the Superbowl but for that one day, there was magic in this city (*not to be confused with Magic City lol if you’re not from Atlanta you can look it up but then you might want to erase your browser history…). THAT is the power of football. And what other sport can cause grown 365 lb. manly-men to spend hours putting on make-up to go shirtless in the middle of winter and cry like a baby when their team loses? THAT is the power of football. But man, that was a heartbreaking loss for Atlanta fans. You could literally hear a pin drop down here when that game ended. The Falcons are a young, talented squad though. They should be just as good next season so cheer up ATLiens, you have nothing to be ashamed of…okay, well maybe a little shame but still, there are 30 other teams (including my poor 49ers) who didn’t win the Superbowl this year either! So no, I’m not handing out participation trophies but still, The Falcons looked great this season so they should still be proud. And obviously, congratulations go out to the New England Patriots and their fans! As I said during the game, as long as there’s still time left on the clock, you can never count Tom Brady out. I know that people love to hate him for some reason but the guy has been to the big game 7 times and has now won 5! I’d say that he’s doing okay for himself eh? lol even if you’re not a Patriots fan, those are legendary numbers! The only guy who ever manages to beat him on the big stage is Eli Manning and the New York Giants so when Manning came out during the first half to accept the NFL Walter Peyton Man of the Year Award (congratulations to Eli and co-winner Larry Fitzgerald of the AZ Cardinals) Brady’s earlier struggles made sense. Once Eli stepped off the field Brady found his mojo again and dominated the second half! Crazy game. What did you guys think about the commercials? I thought they were better than they have been in recent years but many people I know were still disappointed. I loved the Cam Newton Buick commercial (and so did my sister-in-law since she thinks Cam is “dreamy” lol what’s up Bobbi?!). I also thought the Christopher Walken and Justin Timberlake commercial was great (although anything with either of those 2 guys is hilarious). Most people also seemed to love the Kia commercial with Melissa McCarthy. And I’m thankful that I wasn’t watching the game with my mom this year because that scandalous twerking Mr. Clean commercial was a little awkward…but I did hear a lot of women saying they need to go pick up a bottle so apparently the ad worked! I was a little upset that the Clydesdales weren’t featured this year but my friend Lisa did point out that they were in the background of the Budweiser ad so at least they made a brief appearance…even if I missed it lol. I was also a little surprised there wasn’t a Doritos or Snickers commercial this year unless I missed those as well. Although at $5 million for a 30 second ad, I’d probably skip the Superbowl too! At that price, the best I could possibly afford might be a 1 second ad so next year don’t blink and you may see an upside-down smiley face hit the screen before halftime! So one commercial that I have seen plenty of lately is for Taco Bell’s New Naked Chicken Chalupa. Now, I haven’t been to Taco Bell in at least 6 or 7 years but “naked,” “chicken” and “tacos” are 3 of my favorite things so this I had to explore (don’t worry, yes I did wear pants when I placed my order…)! For starters, the shell that I daydreamed about IS actually chicken so they didn’t lie about that but they also didn’t capitalize on the KFC recipe despite the obvious affiliation. The secret herbs and spices are apparently still a well-kept secret because none of them appear in this basic recipe! So essentially it’s just an ordinary chicken patty molded into the shape of a taco shell. Oh, but it’s also not a taco! That’s right, there’s no ground beef or second protein inside of the shell! It’s just lettuce, tomato and an avocado sauce. So essentially what you have is a chicken sandwich with no bun. But since Taco Bell doesn’t specialize in chicken, there’s nothing unique about the taste. I mean, if you want a chicken sandwich, Taco Bell isn’t really on the first list of options that come to mind (or the second…or the third). While I respect the marketing genius and still find the concept intriguing, they didn’t quite nail the execution. Again, I think a quick fix would be to utilize the KFC recipe for the chicken and then perhaps drop an actual beef soft taco inside of the shell. THAT could be epic. But for now, it’s just average. Again, it wasn’t bad, I just wouldn’t order it again. Verdict: Thumbs sideways … it’s okay. Aside from the performances from Michael Jackson (ad that to the tally) and Prince, that may have been the greatest halftime show of all time but yet her stomach is the primary focus? C’mon man (©ESPN MNF lol) seriously? I can understand if you just don’t like her music or her political views but body-shaming is the cheapest low road to take. That’s like when someone is losing an argument online so they resort to pointing out spelling mistakes lol that’s really all you’ve got? Weak. Look, I’m not going to body shame the body-shamers but I will say that some of you pointing out her stomach could also stand to do a few crunches yourselves! But that’s okay. Whether you’re tall, short, muscular, skinny, curvy…you should love the skin you’re in. Yes, I write a humor column so I get it. Being #petty is “trending” so why do I have one foot on the soapbox right now? Well, as you know, I’m also a fitness trainer and do nutrition coaching. I have personally sat in a room with crying suicidal teenagers who hate the way they look and how people treat them because they weigh a few extra pounds. Sure, Lady Gaga is a public figure and yes, she chose her wardrobe so it may “come with the territory” but when you devalue one of the most creative people on the planet and judge her entire performance based solely on her mid-section, what message are we sending to our kids? What unfair standard are we setting for young girls out there? Like I said earlier, if you hate her music, say that. If you hate her political views, say that too but body shaming is much more dangerous and psychologically damaging than most people realize. Besides, if only people with ripped 6-packs were allowed to have a voice, the world would definitely be a much quieter place! So the bottom line is that you can’t please everyone. That was the point of my very first post here. Let your freak flag fly man, just be you. As I always say to my clients, if you want to change your body, change it because you want to, not because someone else wants you too (unless it’s a true health concern) and definitely not because of societal norms. But first love who you are. It’s even more important now because people are always going to try and bring you down. That’s just the world that we live in. So I ask you, are you a champion? Have a fitness question or topic you’d like addressed? What did you think of the halftime show? Do you think Body-shaming is fair game since she’s a celebrity? Let me know in the comments! Have another song that fits today’s theme? Tell us about it in the comments below! Okay peeps, that about does it for today but I’ll be back on Monday with the Valentine’s Day Special! Ooh la la! But for now, you know what to do…like, comment and share this page! And click those social media buttons to follow me there as well. Okay, that’s a wrap. Mmm, a wrap, I’m hungry again… (shocker lol) – okay see you Monday! Previous Post I’m Going Back to Jersey… hmmm, I don’t think so. Next Post Welcome to La Casa de Amor – The DoubleFML Valentine’s Day Special! So apparently there was some kind of football game on last sunday, I do know that hubby and I went to a friends house for some sort of event but I was too busy shoving my face into a bucket of chicken wings to notice what was going on. I did however pause stuffing myself with chicken parts when Lady Gaga came on. She was amazing, from start to finish. So talented, I think sometimes people dismiss her because sometimes she can be…well…kind of weird. BUT she is an entertainer, she knows how to get people to talk about her! And as for talent, dayum she has it all. Did you see her in American Horror Story? That woman can act too. I thought her shout out to her Mom and Dad was very sweet too. As for her tummy, please!! So the girl has a little jiggle – so what? I doubt that many of those pointing that out could have completed 5 minutes of her routine without needing a defibrillator. I would be HAPPY to have that tummy, unfortunately I am saddled with a slightly more rubenesque silhouette – damn chicken wings…..
Pingback: It’s April. Fools! It’s Time to Bounce Back! – #DoubleFML FatDarrellPalooza! Pingback: Treats! Tricks! And Oh Yeah…Happy Birthday to Me…it’s #DoubleFMLoween! – #DoubleFML FatDarrellPalooza! Pingback: Let’s Get Basted! Power Ranking the Sweet 16 Traditional Thanksgiving Menu Items! – #DoubleFML FatDarrellPalooza! Pingback: Reindeer Games: Twas the Night Before #DoubleFML-Mas – #DoubleFML FatDarrellPalooza! Pingback: Hot Potato! 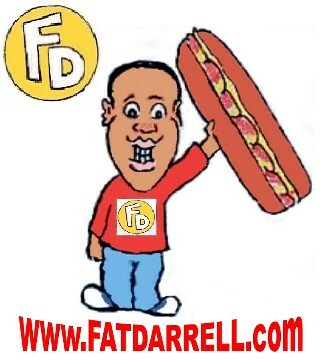 I like them French Fried Potaters Mmm Hmmm… – #DoubleFML FatDarrellPalooza!